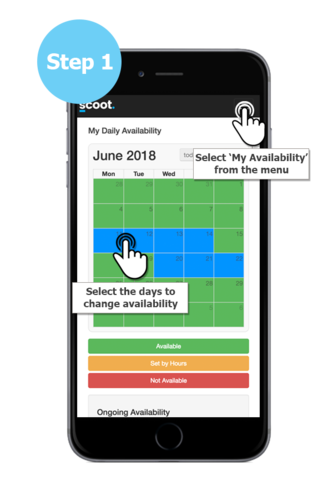 Let Scoot know which days you're available or not available to teach. 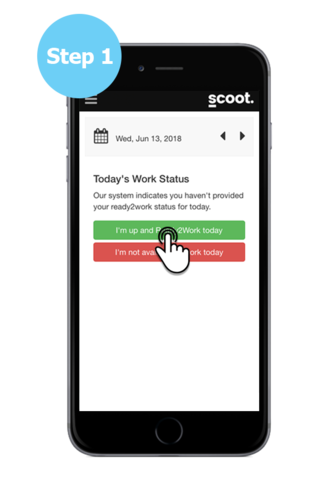 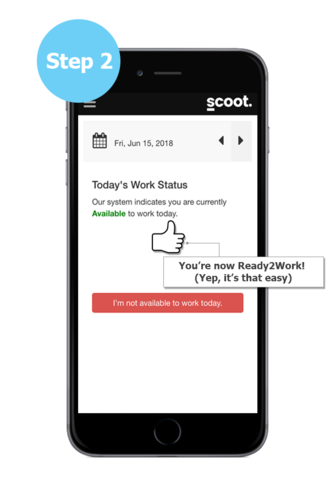 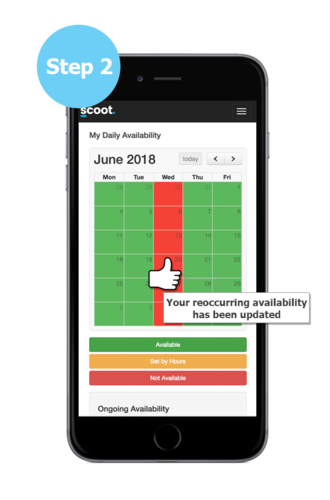 Scoot will not contact you on days that you're set to not available. 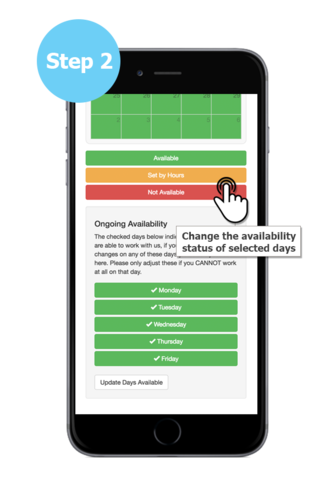 You can easily set your recurring availability if there are days you can't work every week.